Spring is on its way in and winter is coming to an end (thank gosh!) — which means it’s time for spring cleaning. And we’re not talking about your hoards of clothes, we’re talking hair! It’s time to give your tresses a makeover this season and we’re drawing inspiration from the spring hairstyles seen on the runways. 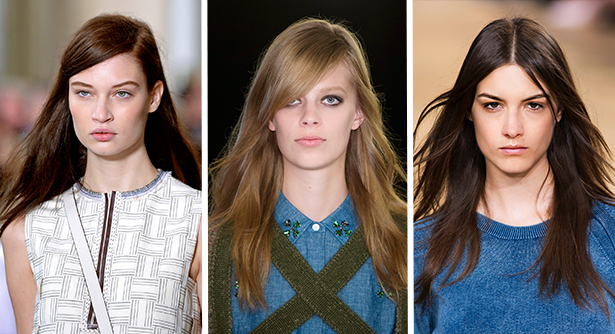 Don’t worry, though, you don’t need to be a hair master to nail these looks. They’re all extremely wearable and super easy to recreate. Don’t believe us? Take a look and try them out yourself. 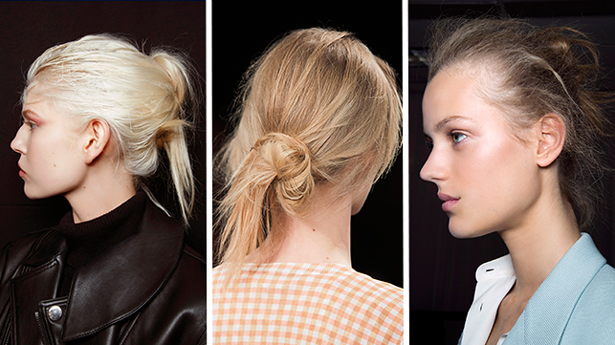 How-to: The new take on the ponytail is all about ease and sensibility — seriously! It’s so simple that you won’t even need a brush. Apply your favorite shine serum or balm from roots to mid-shaft and rake hair back using your fingers to get the combing effect. 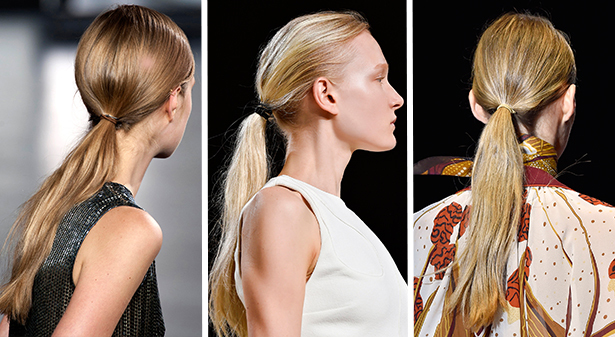 Finish the low-maintenance style by securing the pony at the nape of the neck with an elastic. If that’s not keeping it real, then we don’t know what is. How-to: Ditch the round brush this season because it’s all about a youthful and effortless blowout. To get the look, coat towel-dried hair with a thickening texture spray and rough dry your hair, which means tousling it with your fingers as you blast it with your hair dryer. Once it’s mostly dry, twist large 3-inch sections into a rope-like state and pin them to your head. Once all sections are pinned, mist hair with hairspray and then de-pin the hair, flip head upside down and shake out hair. Add a little bit of shine spray to tame any frizz and make the look more polished. How-to: Start this bedhead look by spraying texture spray to the top and bottom layers of the hair, and gather into a ponytail and secure with an elastic. Tease the tail with a brush from top to end, so that it’s fluffy and over-the-top. Use more texture spray if needed to pump up the volume, too. Next, pin down the tail using U-shaped pins to keep the look messy and nest-like, and twist into a rounded bun shape. To finish the look, brush out a few baby hairs around the hair line to frame the face and spray extra-hold hairspray.